Certain plants in Africa have a supernatural deadly reputation but these African plants, steeped in myth and folklore, have been used for thousands of years for medicinal purposes in Africa. 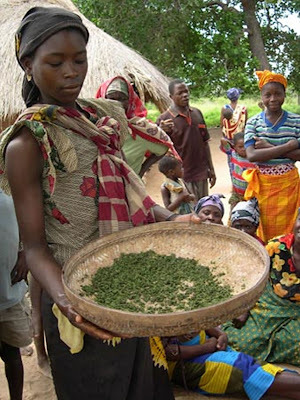 In Africa, the supernatural and medicinal properties of plants were secrets learnt by the most intelligent and observant members of static, pastoral and nomadic tribes and clans; and the possessor of these secrets became the supernatural cornerstone of the clan since holding the knowledge acquired of herbs and their uses. The medicinal properties of certain herbs and plants in skillful hands were well known to the ancient seers the symptoms and effects could be varied accordingly as the plants were dried, powdered, dissolved in water, eaten freshly gathered, or burnt as incense on the altars. The subtle powers of opiates obtained from certain plants were among the secrets carefully preserved by the witchdoctor. Among the plants and flowers to which the power of divination has been attributed, among the Egyptians by the use of Opium and Kaempfer the patient fell into a rapturous state. From the juice of the Hemp, the Egyptians have for ages prepared an intoxicating extract, called Hashîsh, which is made up into balls of the size of a Chestnut. Having swallowed some of these, and thereby produced a species of intoxication, they experience ecstatic visions. The cork oak was held especially sacred to the ancient Egyptians as it was also thought useful in driving away evil spirits. Satyrion is a favorite herb with North African herbalists, who held it to be one of the most powerful sexual desires. Cumin is thought to possess a mystical power of retention: hence, it has found its way into many a love-philter, as being able to ensure fidelity and constancy in love. The Mandrake is one of the most celebrated of magical plants, but for an enumeration of its manifold mystic powers. 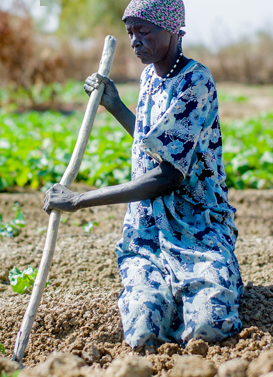 The arid areas of Sudan are said to produce a certain fruit that the natives call Peci. It was believed that when pulled from the ground the root emitted a shrill cry that drove people mad and killed them. The plant grows in arid areas where it has been used as a hallucinogen, painkiller, aphrodisiac and fertility drug for thousands of years. However, the dose has to be right. In essence, if you were to consume it you would basically get hallucinations, dizziness and increased heart rate, and you could get disturbed vision as a consequence of it, and then disturbed cognition. If the dose is high, enough it could kill you.